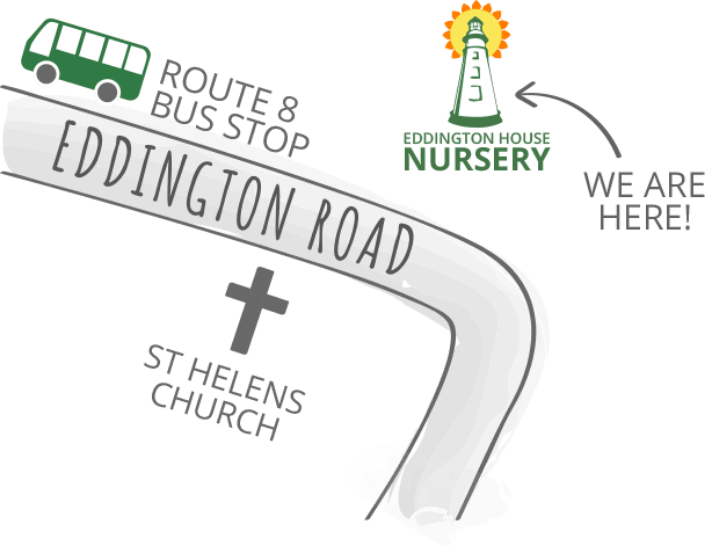 We are located on Eddington Road, Seaview, PO34 5EF; which is the B3330 which runs between St. Helens & Nettlestone. From Nettlestone it is right on the 2nd sharp bend after exiting the village opposite St. Helens Church. Entrance is right on the bend slightly concealed by hedgerow so look out for first wooden gateposts. It is a house which stands alone. From St. Helens it is on the third sharp bend after exiting the village towards Nettlestone. 1st bend is Nodes Point, 2nd is Atrills Lane and the third is Eddington House Nursery opposite church with graveyard wall on left turning is right on the bend so indicate right when you see the white house in front of you! We have an IN & an out gate. Please EXIT only on the one right on the corner please use this only to exit as there is a clear view of the road in both directions here. The correct entrance or exit is always on the left. © 2019 Eddington House Nursery, All rights reserved.